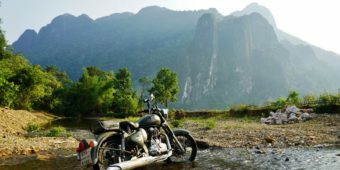 A unique motorcycle tour through two exceptional countries: Thailand and Laos. 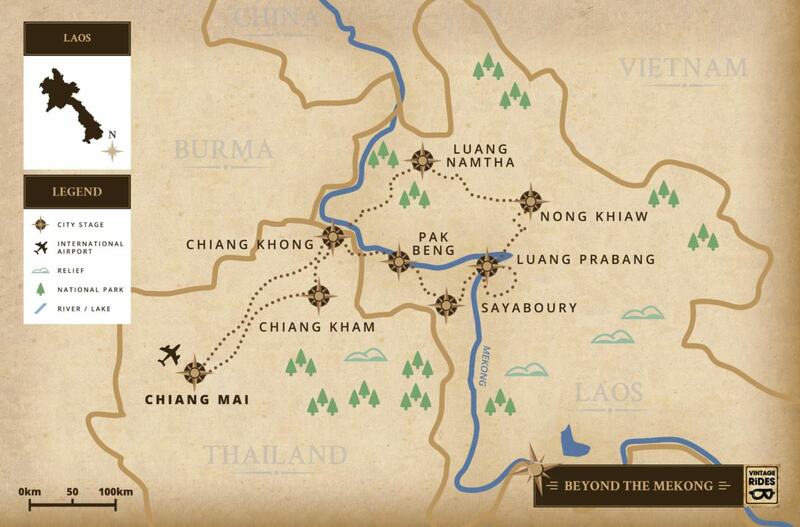 Embark on a unique journey on the other side of Mekong, an incomparable adventure between Thailand and Laos. Along small roads, you will discover sublime hilly green landscapes in the land of a million elephants. 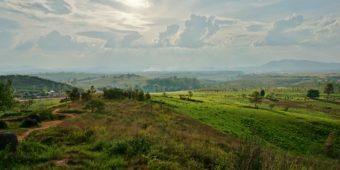 You will appreciate this sparsely populated unique Kingdom, which has preserved its culture despite the ordeals of its history. 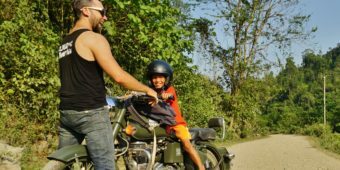 During your motorcycle tour, enjoy the charm of these places by sharing the life of majestic elephants and experiencing atypical encounters. 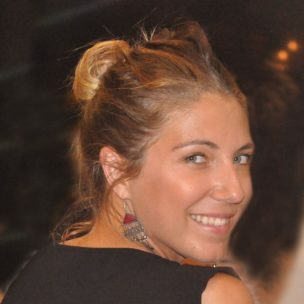 You will be met at the airport and transferred to your hotel. 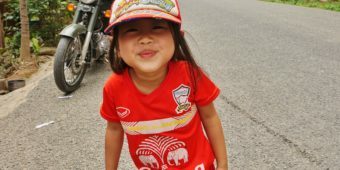 Enjoy this first day discovering Chiang Mai, a large city in northern Thailand. With a great location in the heart of the ancient Lanna Kingdom, its architectural heritage is breathtaking with more than 300 temples! Visit Wat Chedi Luang, roam around the city’s various markets, including the famous night market, and sample your first Thai delicacies. Overnight stay at comfort hotel. 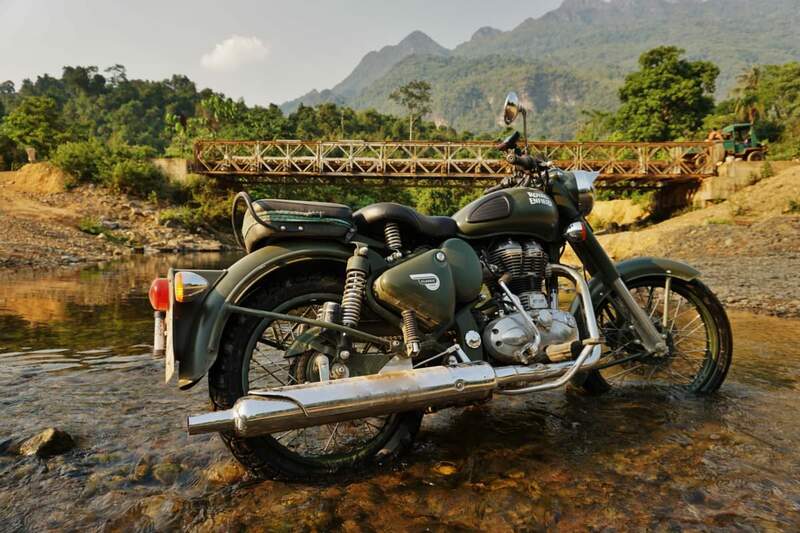 After a hearty breakfast, you meet your tour leader and get familiar with the Royal Enfields. It’s time to go! We start with a smooth stretch on fast roads through green, hilly countryside. We stop for lunch at Chiang Rai and visit Wat Rong Khun, better known as the White Temple. We head east and reach the Mekong river in the afternoon. Overnight stay at comfort hotel. After an early start, we head for the border. We cross the Friendship Bridge over the Mekong and step foot in Laos! 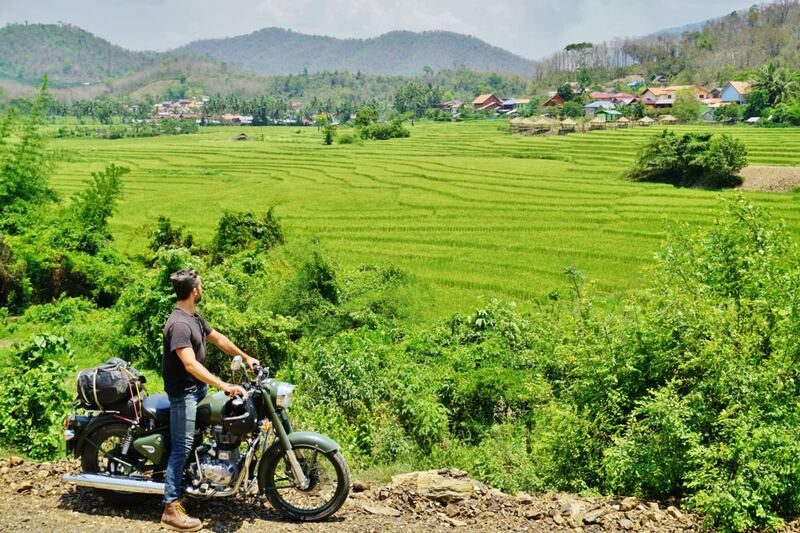 Our first Laotian road offers rolling hilly countryside and we will immediately notice how it differs from Thailand. 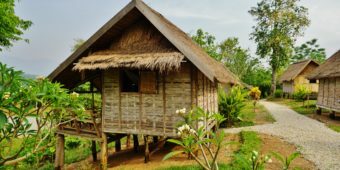 We explore our first typical northern villages with their wooden stilt houses and make our way to Luang Namtha, the provincial capital. We’ll enjoy an evening in the scenic night market and sample some local food. Overnight stay at standard hotel. 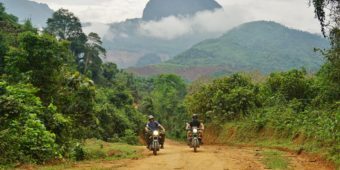 Eastward bound, we take winding roads towards Nong Khiaw and discover lush, rural Laos, crossing constructions of the new railroad track from China to Lao. We take a lunch break in Oudomxay, a commercial town, which is greatly influenced by neighbouring China. 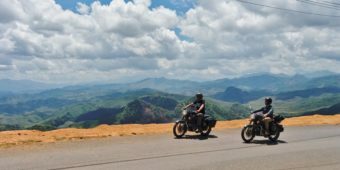 We take full advantage of the curves in the asphalt roads near Pak Mong and its mountainside cornfields to perfect our riding skills! We arrive in Nong Khiaw and are blown away by the view of Nam Ou river meandering between two cliffs. Overnight stay at comfort hotel. 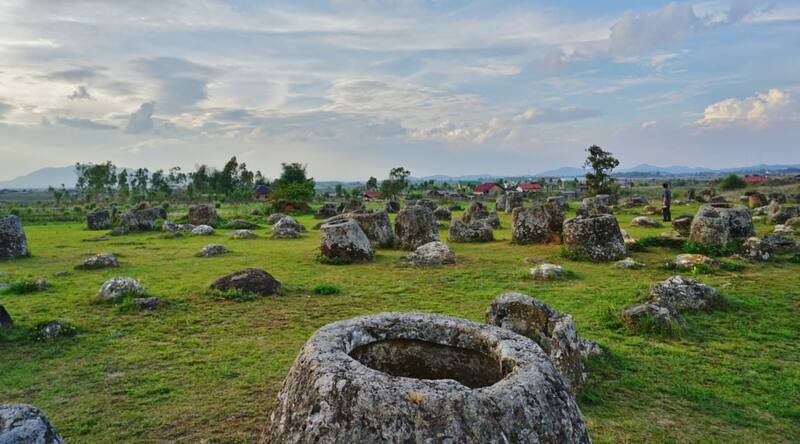 Today, we head to Laos’s ancient capital! On this stretch, we cross more and more remote villages, first on paved roads (badly-maintained) and then on ridge off-road for about 60 kilometers. 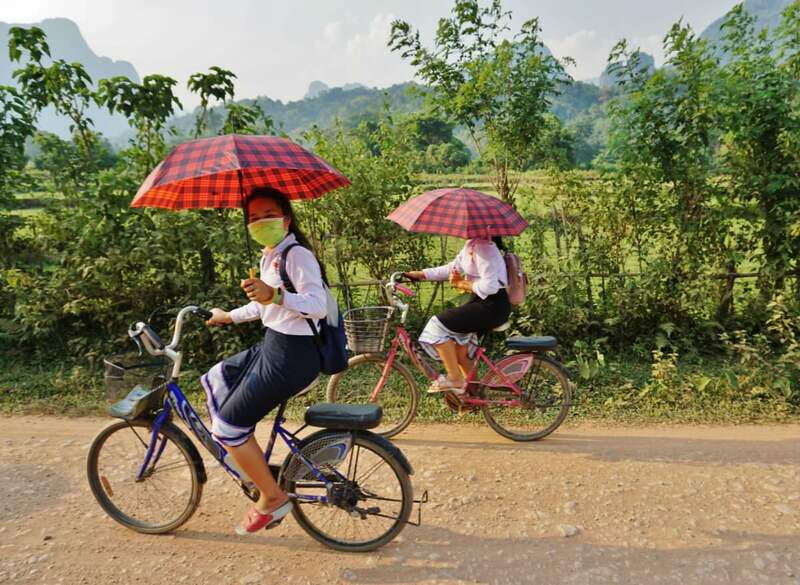 We descend along the Nam Ou river on a great asphalt road and reach Luang Prabang late afternoon. We discover the charming old town streets and watch the sunset from one of the terraces that overlook the Mekong. Overnight stay at comfort hotel. 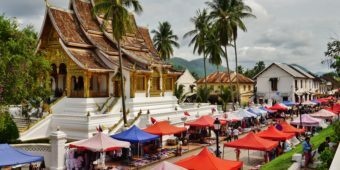 Known as “The pearl of Laos” and declared a UNESCO World Heritage Site, Luang Prabang is a small city nestled in a valley where the Mekong and Nam Khan rivers meet. 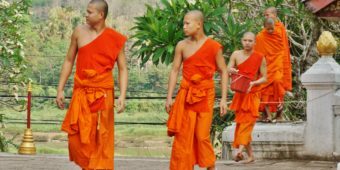 It offers an interesting mix of architecture: the country’s most beautiful Buddhist temples and outdated charm of its French colonial past. 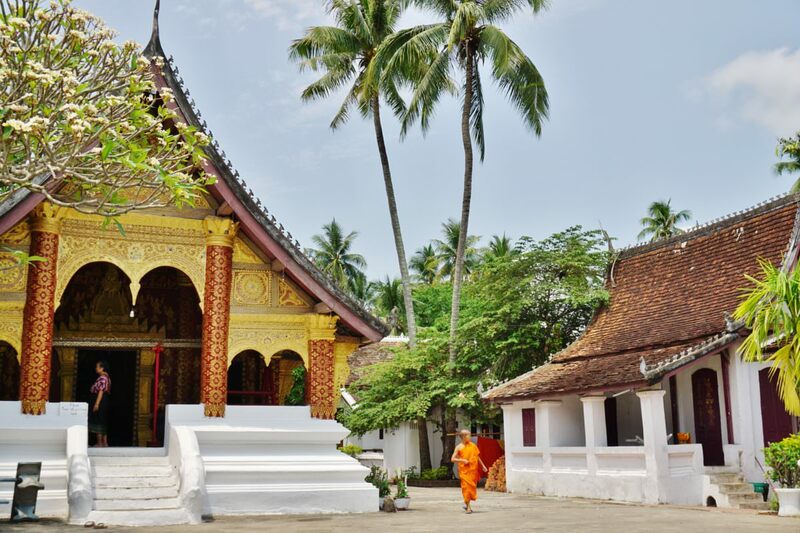 We can’t miss visiting the royal palace or Wat Xieng Thong, the city’s oldest temple. You can choose an optional morning activity: riding to the famous Kuang Si waterfall and take a local cookery class. Overnight stay at comfort hotel. After an early breakfast, we head southwest between rice terraces and rubber plantations. We cross the Mekong before reaching Sayaboury province. We take an uneven track, which leads us to where we’ll spend the night: the Elephant Conservation Centre. 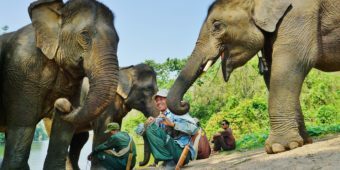 It is the only hospital of its kind in Laos, which is completely devoted to looking after and protecting elephants. 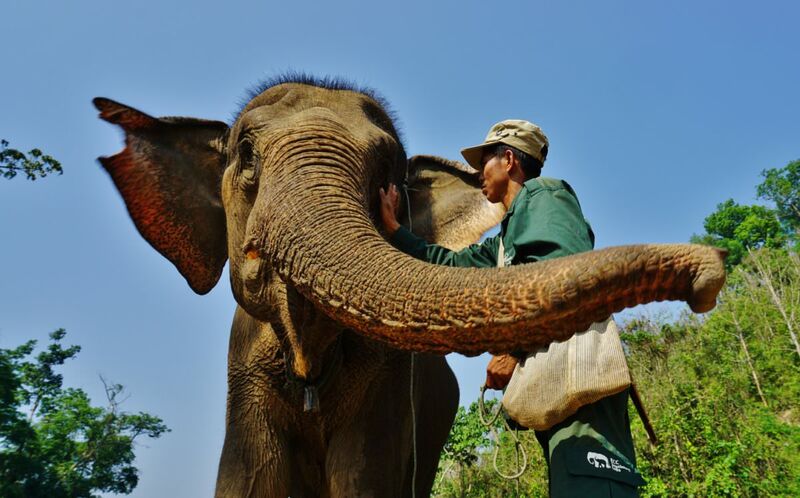 After lunch, we have the chance to experience the day in the life of an elephant carer. The passionate team will show us around the centre and we then will enjoy an aperitif on the lake before having a convivial dinner. Overnight stay in a standard bungalow. Today, we head away from any form of civilisation. Across the wilderness, we meander over an ancient badly-maintained ridge road before tracing a crystalline river. After a lunch break in Hongsa, we get back on a faster asphalt road, which takes us to Pakbeng, a charming village on banks of the Mekong. Overnight stay at comfort hotel. We leave at daybreak for the most adventurous “off-road” day of the tour. 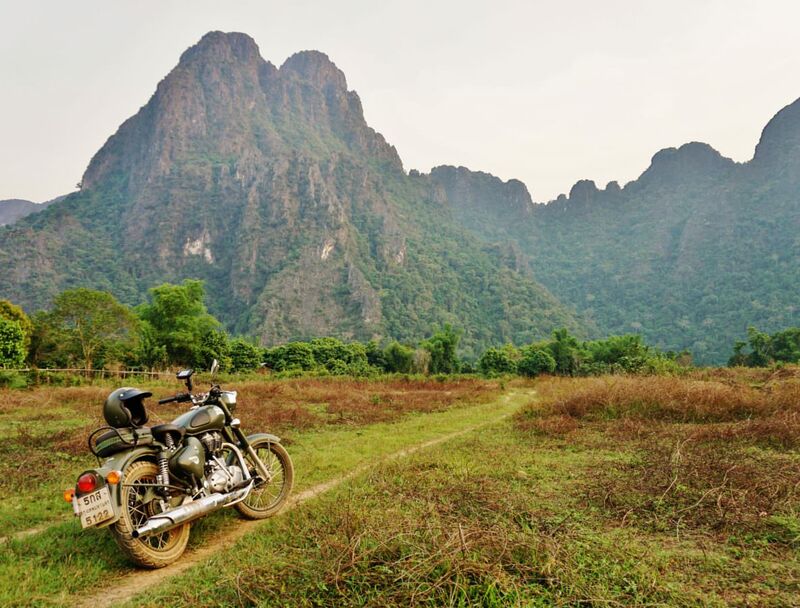 Across the northern Laos mountains, we ride a dirt track that passes local tribal villages. Both riders and their machines are really put the test! We reach the border in the early afternoon and arrive in the Thai town, Chiang Khong, where we enjoy one last, well-deserved drink overlooking the Mekong. Overnight stay at comfort hotel. 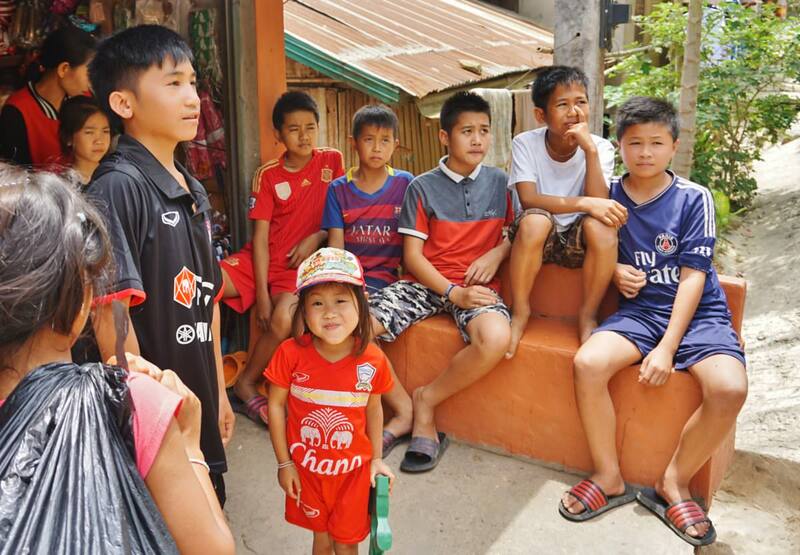 We head south, tracing the Laotian border. 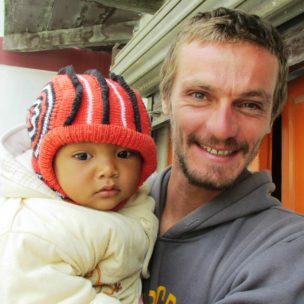 For 24 miles, we ride along the Mekong and start making our ascent. 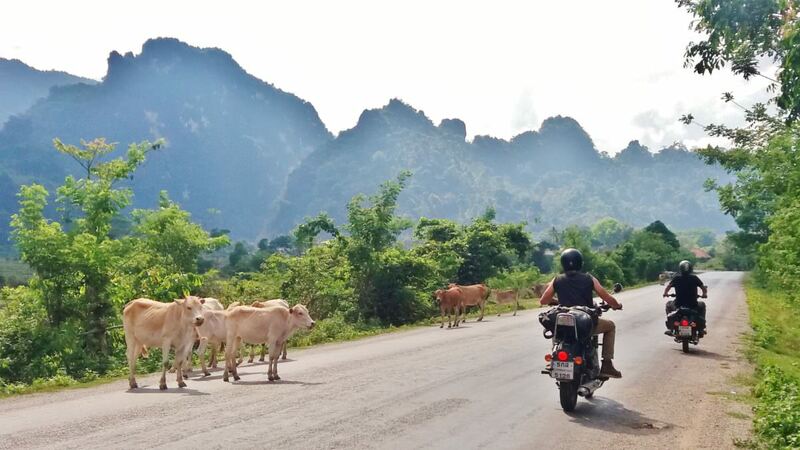 The road follows the ridge that acts as a natural border between Thailand and Laos. 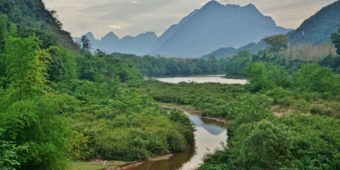 A short, easy hike takes us to the famous Phu Chi Fah cliffs, with an unbeatable view over Laos. 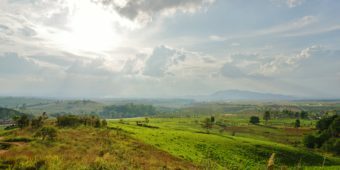 The road takes us to the Phayao plains and across Phu Sang national park. Overnight stay at comfort hotel. 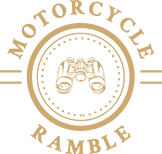 We mount our bikes for our last ride day and head southwest to Phayao. We take a short break in this provincial capital, which is next to a large lake overlooked by mountains. We continue on fast forest roads until lunchtime. Extra care is crucial over the last few miles entering Chiang Mai, where we get back to civilisation and are sure to hit some traffic! We spend the last evening in Chiang Mai, where you can do a bit of shopping or simply enjoy one last Thai massage. Overnight stay at comfort hotel. Depending on your flight schedule, you may be able to enjoy a few more hours in Chiang Mai. You will be transferred back to the international airport in time for your flight.